to interface with the system or the net. Direct commands for Python start with ">>> " at the beginning of the command line (alternatively with ">py: "). Depending on your settings, you are asked if you want to allow the command. For a multi-line command, we can use a multi-line in Euler. print s, "is the answer"
Note that ">>" must not appear in the second line, and the second line must not be indented, unless Python needs an indentation. It is more convenient to use a function body in Euler. Then you can use the internal Euler editor to edit the command. Press F9 in the first line to start this editor. Or simply click into the body and edit the commands in the same way as you can edit an Euler function. This is not a function, but rather a collection of commands for Python. It runs as soon as you exit the collection. You can continue a line in Python by ending it with \. Then you can also indent. Note the "**" for the power operator! Let us check the result. Python can also be called with the function python(). This function accepts a string or a vector of strings. It returns a string. The command can be used in Euler functions. The python() function accepts a vector of strings. The strings will become command lines for Python. Python cannot be interrupted. If you program an eternal loop, you need to close Euler. But you can allow the user to interrupt the program with the eumat.testkey() function. The module eumat is imported automatically. The function eumat.dump() prints to the notebook immediately, while the print() function of Python prints at the end of the execution. Press any key to stop the loop! The easiest way to define a Python function is the following. Again, remember that Python uses ** for the exponent. x^3 does not work! You can call this function in Python, of course. The function can also be called in EMT just like an Euler function. It is essentially a function in Python, which is known in EMT, and can be used directly. One alternative is to use pycall(). This method can be used to call any function of Python and get the result back in EMT. There is a shortcut for this. Of course, a Python function can also be defined in a collection of Python commands in the following way. The function fib() defined in these commands is an iteration, which computes the n-th Fibonacci number. Inside Python, the function will return the result in the long integer type of Python. For Euler, this is converted to a real number. You could transfer the number to Maxima, however, via an Euler string. Remember that the python() command returns the output of Python as a string. Here is a function, which returns all Fibonacci numbers up to the n-th number in a vector. Note that Python functions defined in this way can have a help line. Thus the status line and F1 will work. fib is a Python function. Entered from command line. Python function. We can use the result like any other vector in Euler. You can define your own modules in separate files, and import them in Python. Note that Python will compile the module, generating "mymod.pyc". Moreover, you need to be aware that Python will not reload an updated module. To call the function directly, there is a special syntax py$... which contains the name of the module. This can also be used for Python modules like cmath. To set a global variable in Python from a value in EMT, we use pyset(). This will yield in a vector of integers in Python, since all numbers in the vector can be converted to integers. Conversely, you can get the values of Python variables for EMT. The following Python code does the simple Euler method for a differential equation. We need a function f(x,y). To handle the function f to the method dgleuler(), we use "py$ftest". In numerical functions of EMT, the function ftest() can be used just as any other EMT function. Python can also call Euler functions. The Python interface imports the module euler, so you can use it immediately. The method we need is euler.call. For an example, we rewrite the example. Now we define the function in Euler. We call the Euler function by name. To test the speed of Python, we define the Fibonacci numbers in a very inefficient, recursive way. This is a famous example to measure function calls in a language. In Euler, a similar function is considerably less speedy. We try the example of in the tutorial about compiled code. The result is typically up 10 times slower than comparable C code, but can be 10 times faster then Euler. The next example loads the English word list of Euler to determine words, which are forward and backward in the list. These words are called "semordnilap" words (palindromes backwards). The code is from the Rosetta page again. We call this function and pass the filename as an argument. It returns a list of words, which is translated into a string vector. We print the first 5 words. You can load Python files. The load command will collect all output from the file, if it has any, and print the output. It is not designed for interactive programs. Python is a script language with an own heap of variables. It runs externally as a subsystem in Euler, but Euler can start programs and functions in Python and get the results. Values are translated from Euler to Python and from Python to Euler. The interface is contained in python.dll, which is loaded on demand. This library is linked to python27.dll, which runs the Python system. This is a safe approach, and it can be extended to new versions of Python later. A command is sent directly to Python. The output is collected in a Python string, which is printed to the notebook at the end of the command. Python commands cannot be called in an interactive way. >>> print "This is printed after the command finishes." This is printed after the command finishes. Multi-line command and Python blocks behave in the same way. Since we sometimes what to print a string or a value immediately there is the function eumat.dump() in the module "eumat". This function can print any data that EMT understands. If functions are defined in Python they can be called in EMT with python("foo",..) or py$foo(...) as described above. For the process, parameters and results are translated between the systems. double and complex scalars, vectors and matrices. If possible, double values are translated to integer values for Python. Python vectors can contain a mix of integers and floats. With call() many things are possible. 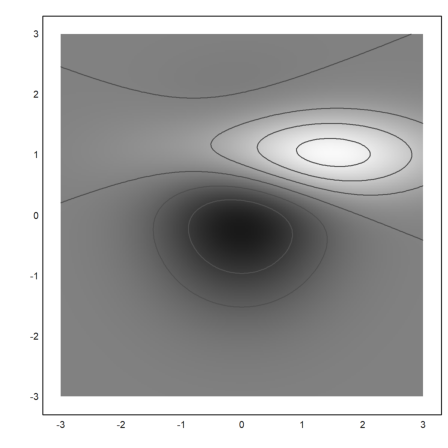 It is possible to use the wonderful plot library MatPlotLib from Euler. For this, MatPlotLib and NumPy must be installed for Python 2.7. Note that you need the 64-bit versions for the 64-bit version of EMT. The following page contains some beginner tutorials to this library. We need to import a few things in Python. We have to do this globally, since imports in functions are local. We write a function which does the plot. It does the following things. - generate labels for the contour lines. I took the code from the following page. The arguments for plt.contour() include the X and Y vectors and a matrix of values Z=f(X,Y). 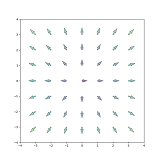 In the demos, a numerical package for Python is used to generate these matrices. But we use EMT and pass the results to the Python function. Now we compute the difference of two such distributions. And plot contour lines. 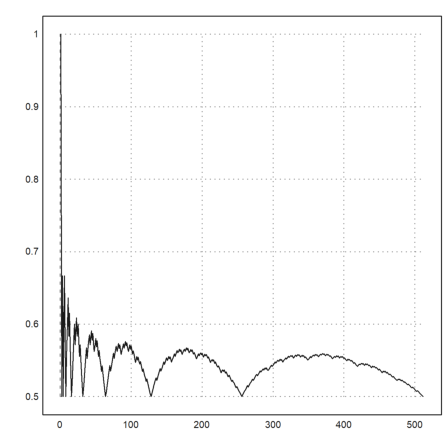 We can generate the plot and save it to a temporary file in the Euler working directory. The function pyins() tells Python to generate an output file in PNG format and inserts this file into the notebook. The name of the output file is stored in the global variable pyout$$. Its size depends on the parameter figsize= of figure(). The font is not scaled automatically. For EMT notebooks, [8,8] looks good. It generates an image of 800x800 pixels. loadimg() can insert the file into the notebook. We reduce it to a height of about 10 lines of text. 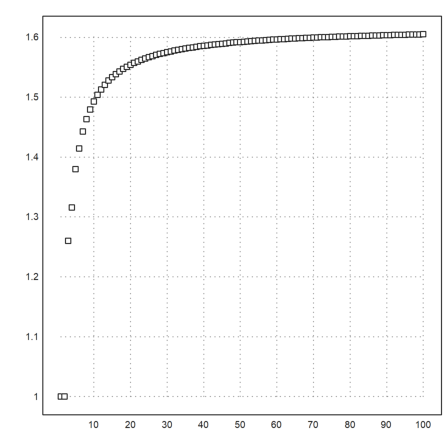 Here is the corresponding plot with Euler. Euler cannot do these nice labels without effort. We use the matrix language to generate the matrix Z. Again we first define a function for the plot. This time we take the default aspect ratio of figure(), which is a 4x3 landscape format. Now, plot_surface() and contourf() cannot really handle vectors. We would have to transpose y for contourf(). Instead, we use the old fashioned function field(), which generates matrices X, Y from vectors x, y in the same way as the matrix language of EMT. After pyins() the plot is closed. 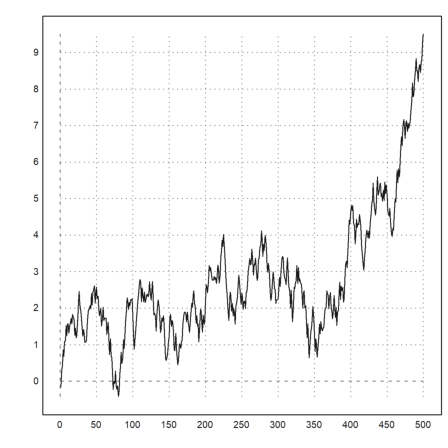 But you can close all plots manually with plot.close('all'). 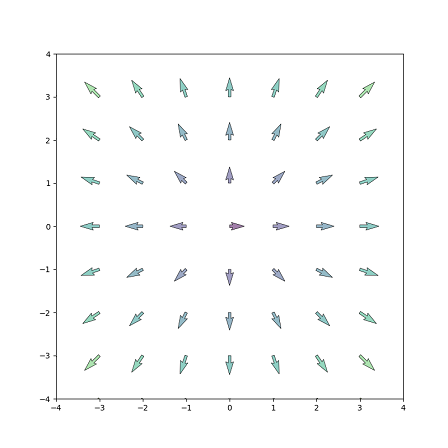 You can also use NumPy to compute the data of the plot in Python. With this package we can define the following.